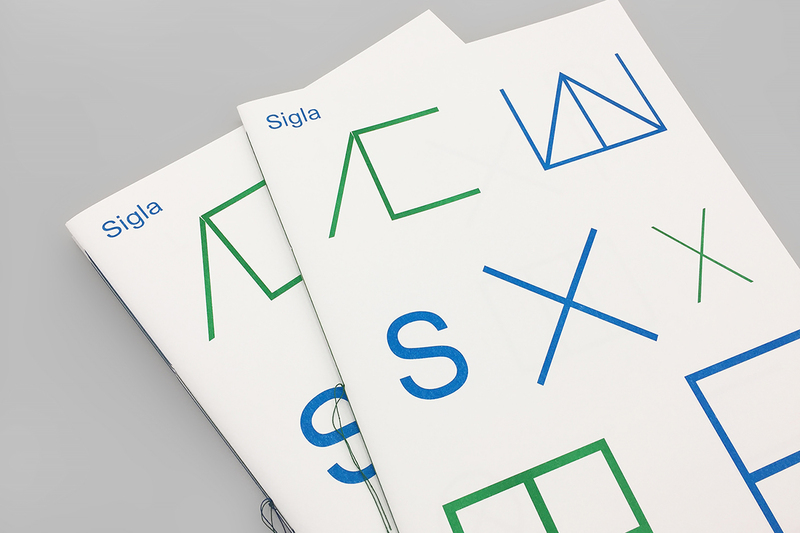 New book, Sigla published by Jordskred. Riso printed in two colours by Knust in Nijmegen, the Netherlands. Hand-sewn using green and blue thread (25 copies in green, 25 in blue). Sigla seeks to examine written language, meaning and ambiguity through the set of typographic glyphs which the Irish author James Joyce devised for his last novel Finnegans Wake.